Happy Friday! I have two weeks of loves to share since I inadvertently skipped last week. My apologies! 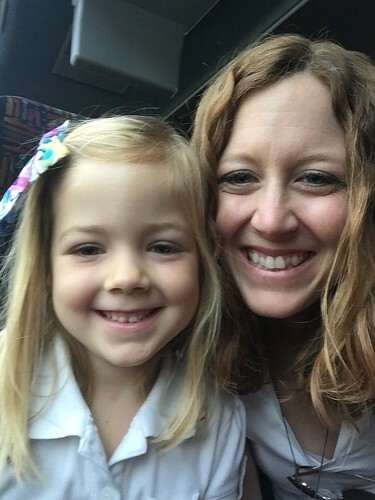 Kenley had her first field trip last week and I was lucky enough to get to go with the class! We went to the SEA LIFE Aquarium on I-Drive and it was super fun. I think the highlight of the trip for the kids was riding the big, fancy bus where they got to watch cartoons on the ride to and from, but the aquarium was really cool too. It was our first time there, but it is actually included in our Legoland passes we just got, so we will definitely be back. It’s also right under the Orlando Eye so it was cool to see that up close and personal too. Overall, it was a super fun morning with her preschool class. We tried a new recipe this week that I had pinned a while ago — Sweet Potato Noodle and Kale Casserole. I am not sure what took me so long to make it, but I had two sweet potatoes on the counter so it went on the menu for Monday. Greg was apprehensive because the word “kale” was in it, but we both loved it!! You could barely taste the kale, for the record. I was even pleasantly surprised with how good it was. The kids had some of it, but weren’t in love with it like we were, and that’s ok. It’ll be back on the menu soon enough. Speaking of, I’m over at Orlando Moms Blog this week sharing about how much I love meal planning! Check it out. Thanks to not taking courses right now and not teaching quite yet, I have ample time in the evenings to catch up on what’s on TV. In the last week, I have watched about ten episodes of Grey’s Anatomy and I’m only three episodes away from being caught up. Shew, that is not an easy show to binge watch, my emotions can’t handle it! We also caught the first episode of the new season of Wayward Pines! I know that I’ve mentioned this show before and it was supposed to only be one season, but much to our surprise, it’s back! Yay! 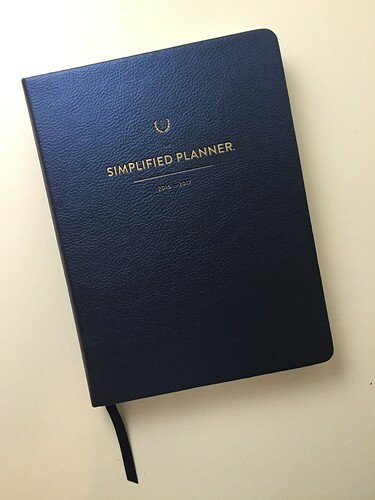 My new Simplified Planner has arrived and I’ve already started filling in the pristine white pages. This is my fourth Simplified Planner and I switched it up for this coming year. For the past year, I have been using the daily, academic planner, which I love, but the smaller, weekly planner looked too pretty to pass up. I am excited to have something new to try! Yes, I realize my level of excitement over a planner may be a little much, but it really helps me stay as organized as possible. It’s the last Friday of the month, so head over and see what the other ladies are loving! Better yet, add your link to the link up and we can see what you’re loving!